Produced by award-winning Swedish visual effects and animation production studio Bläck, the cinematic launch trailer provides players with an immersive look into the Skaven uprising and the beginning of the game’s story in the city of Ubersreik. The new Game Overview video is voiced by the game’s very own Empire Soldier, and gives a detailed and immersive look into the world of Vermintide and showcasing the five heroes with their unique skillsets and different weapon options. The Game Overview Video also showcases the hit detection system and how the speed and power of a strike can lead to the dismemberment and destruction of the vermin Skaven that stand in the player’s path. Couple that with the blood splatter and the enhanced audio, the feel of combat in Vermintide makes for a unique and detailed combat experience. In Vermintide, your efforts don’t go unrewarded. The dice based loot system is explained; greater performance and greater difficulty can increase your chances for better loot. Finally the Game Overview Video also details the enemy in Warhammer: The End Times – Vermintide: the Skaven. The Skaven are a fierce, cowardly, and intelligent enemy all rolled into one. They boast many different specialists in their ranks, offering greater challenges, especially when mixed up in one of the many hoards that come at you in the game. Utilizing its conflict AI system, no match or playthrough is ever the same. 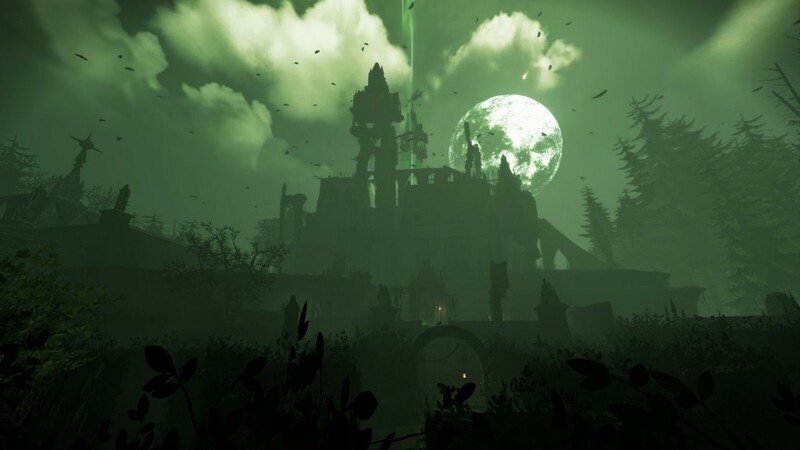 In the dynamic and unrelenting world of Vermintide, players must truly play together to hold back the Skaven and save the city of Ubersreik. The “I DON’T WANNA JUMP!! 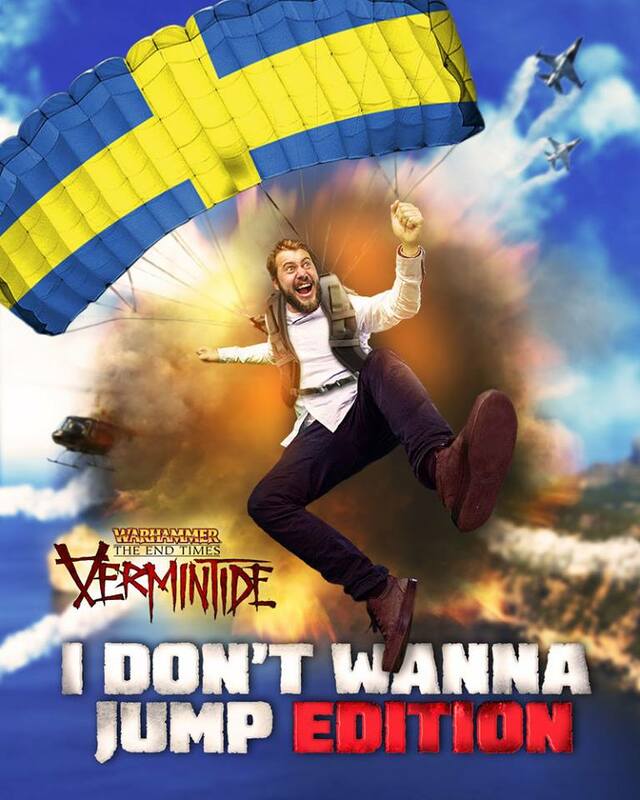 !” Special Edition was also announced this week: Game Designer Victor Magnuson is to complete a skydive to raise funds for UNICEF! The ‘I DON’T WANNA JUMP!! !’ Edition of Warhammer: End Times – Vermintide will be sold via ebay, with a starting price of $1. The auction winner will receive four Vermintide promo codes to experience the full hero roster with a group of friends. Besides the games, the winner will also get a diploma for being the person that, so to speak, pushed Victor out of a plane. To bid on the ‘I DON’T WANNA JUMP!! !’ Edition of Warhammer: End Times – Vermintide visit ebay here! This entry was posted on Wednesday, October 21st, 2015 at 3:09 pm by CoffeeScamp and is filed under News. You can follow any responses to this entry through the RSS 2.0 feed. You can leave a response, or trackback from your own site.